We are a family company with history in the fire sprinkler industry for over 80 years! sprinkler business provides us with extensive knowledge of the industry. We design fire sprinkler drawings suitable for submittal and installation as well as 3D models for coordination and BIM modeling. We desire to serve clients who want to develop a longstanding team relationship. warehouse buildings, event centers and even large elaborate estates. Submitted to OSHPD, DSA, State Fire Marshall, Federal Government & local authorities. We have experience designing wet, dry, pre-action, fire pumps, standpipes & residential sprinkler systems. Bob has been deeply involved in the industry since 1969. He has extensive experience in engineering, sales, project management and has a unique grasp on the ever-changing Fire Sprinkler industry. 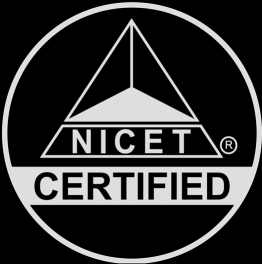 He is NICET certified Level IV and brings experience that only time can provide! Joe has been designing for R.A. Kenz Company since 1999. He started designing sprinkler systems with pencil & drafting board, and transitioned to AutoCAD in 2001. Joe is our IT, CAD and BIM Manager and has been designing in the 3D environment since 2005. His BIM experience includes ten projects totaling over 1,000,000 sq.ft., which includes three California OSHPD hospital projects totaling 470,000 sq. ft.